Receive online training based on prop firm graduate programmes. DO YOU HAVE WHAT IT TAKES TO TRADE IN THE CITY? If you have the right skills to make money consistently from trading. Whether you have the right mind-set to make money from the markets. We encourage our students to let us know how their results have been since taking the training. Many have been happy to share their verified performance. 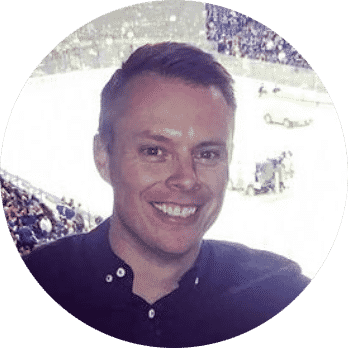 Tim started his journey in FX back in about 2006 through a company that Jarratt used to work with - but he was never able to make a consistent profit. However, his love for Forex meant he has persisted to the present day.In 2017 Tim had a breakthrough – instead of focusing on technicals and searching for a ‘holy grail’ strategy, he started to focus on fundamentals and psychology (a key focus of the Trader Training Programme).After a period of ‘ups’ and ‘downs’ - which he describes as an invaluable learning period – Tim has seen an incredible improvement in his trading results. He now has the confidence to apply fundamental analysis to find profitable trades, regardless of the market’s collective mood. Fahran completed our Trader Training Programme in 2018. Despite knowing he had the intuition to succeed in training, Fahran always felt like something was holding him back. He tried various technical indicators but never achieved consistent success. Then Fahran found the Jarratt Davis Trading Academy and learnt the importance of fundamental analysis. This knowledge has turned Fahran into a consistently profitable Forex trader. Jon joined the Trader Training Programme in 2017. With guidance from our coaches, Jon finally made the trading breakthrough he was looking for. Specifically, he made an 8.33% return (with only a drawdown of 3.91%) from May 29th 2017 to October 9th 2017, using no more than 2:1 leverage. 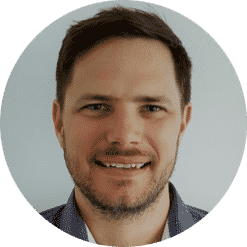 With knowledge from our programme, Jon now feels confident in determining the fundamentals that drive the market and placing appropriate trades. Carlos joined our training in 2016. We helped him to deepen his understanding of the markets.He submitted his testimonial in 2017 to share his success so far. At that time his account had grown 50% in around 12 months.Carlos is now aiming to break into the world of professional money management. His understanding and consistency has given him the confidence to pursue that goal. Merle began trading in 2008 and focused heavily on indicators. After little success he decided to take our training programme and start using the fundamentals. When he traded correctly in line with the fundamentals the results were instant. He submitted his testimonial after over 6 months of consistent profits on his account. As you can see this translated into a 40% gain on his account. Jimmi focused heavily on technical analysis. He was even registered as a certified technical analyst by the IFTA. Despite this, he always felt that something was missing. His results never matched his experience in the trading industry. After taking our training he achieved consistent profitability for the first time. He sent us his track record to show us over 6 months of sustained profits. Ahmed trained with us in 2015. He had always focused on technical analysis and could never achieve any kind of consistency with his trading.As soon as he started to apply the fundamentals he immediately noticed an improvement. He could now generate profits much more consistently. Ahmed’s verified account below shows that he made almost 80% in his first year of trading after working with us. Elaine emailed us to share her own experience. She took our training and worked hard to apply what she learned.The biggest revelation for Elaine was the constant improvement she has seen in her trading. This is a result of trading with the fundamentals and taking advantage of the support and guidance that we provide.In 2016 she produced 6 months of consistent profits. Ryan has gradually compounded his account while also adding spare income from his job. He now makes more money each month from his trading account than he did from working.He has blown up accounts in the past. Despite this, he has the skills to recover and hit new highs on his equity.In 12 months he returned almost 100% on his personal account without using any leverage. Steve took our training when we first launched in 2014. As one of our original students, he is generating enough from trading to live off.This has allowed Steve to quit his job as an electrical engineer. In 2016 Steve moved to the Philippines with his family to enjoy a much more relaxed lifestyle.He trades his own money and he also runs a trade copying business that allows new traders to pay to copy his trades. Mark wanted to share his breakthrough in trading. After 15 years of struggle, he can finally see progress in his results.He found our easy to understand format the biggest benefit. This simplicity allowed him to finally implement the fundamentals with confidence. Mark was able to trade consistently and profitably for the first time.To Mark, this is a huge achievement and we can help you too! After taking our training Paul began trading professionally. He registered as a CTA in the US and traded the client account at FXCM. He generated almost 40% return for the client in just under 18 months.It proved to be a valuable learning experience for him and further evidence that our training genuinely works for normal, everyday people.Paul now works with us and helps other US traders follow the same path. Zain has been trading profitably since 2015. 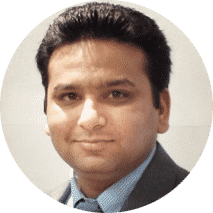 The biggest realisation for him was that trading success comes gradually.His results illustrate a huge improvement from where his trading used to be.The biggest lesson for him has been overcoming the set-backs. Instead of giving up to find a better system, he is now focused on applying the fundamentals and improving himself. You will notice a theme among all of our students. That theme is one of perseverance and a focus on recovering from drawdowns and setbacks.Francisco is yet another student that has finally discovered the benefits of this.In 2016 he returned a significant profit on his own small account for the first time ever. His goal is to work on reducing his draw-downs so that he can trade professionally for other people. Alberto studied with us in 2015 and had a desire to become a professional money manager. 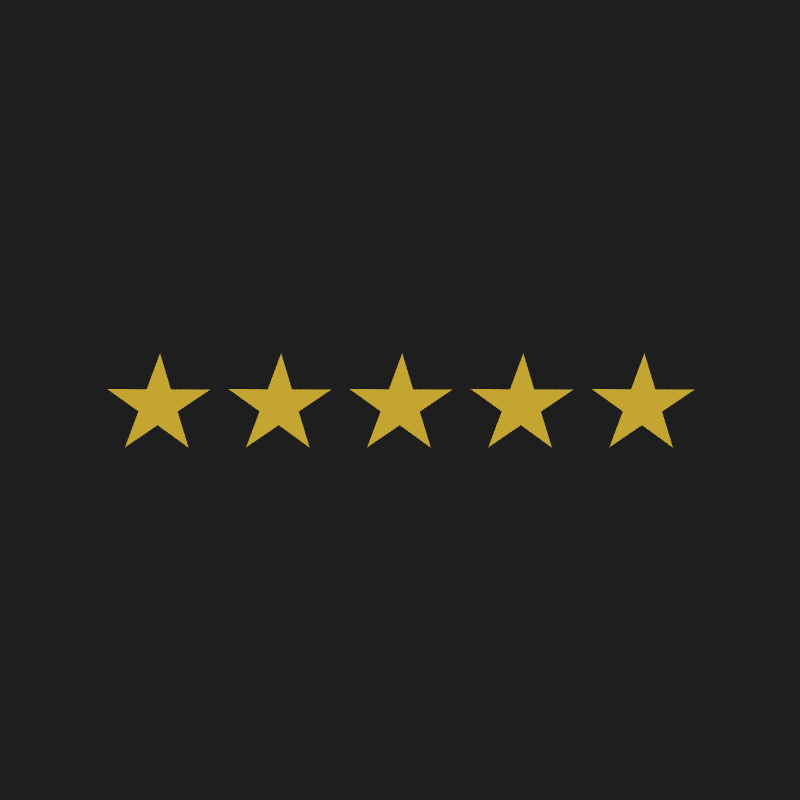 His trading has steadily improved to the point where he applied to trade directly with Jarratt.The track record that he sent displays a very consistent performance with very reasonable drawdown levels.Alberto is well on the way to improving as a trader and reaching his goal of trading professionally. Andrew sent us his track record in November 2016 after achieving a 6 month period of consistency.His success is down to focused practice and learning from his mistakes. He also applies careful risk management to reduce the impact of his draw-downs.Andrew’s goal is to manage money and trade professionally. He is showing signs of definite progress after incorporating fundamental analysis into his trading. Alpesh sent us his track record and was worried that it was only on a demo account. He explained that since applying the fundamentals his trading had improved beyond words.We decided to display the performance because of the fantastic consistency that Alpesh has managed to achieve.Your journey will also begin on a demo. Once you have shown consistency you can then begin trading real money. THESE ARE REVIEWS FROM OUR STUDENTS WHICH HAVE BEEN PUBLISHED ON A NUMBER OF EXTERNAL WEBSITES. "One of the best Forex courses among all the online courses: totally worth the cost." Jarratt's course is one of the best available online Forex courses in the world. As I have spent above $10,000 of education in learning forex trading, I can surely recommend to go with the Jarratt Davis' course. It is precise, up-to-the-mark course, with providing all the possible coaching needs for the students. Above all, you will be receiving daily analysis from the senior coaches on Jarratt's website, being his student, and this particular thing helps tremendously in aligning newbies towards getting a touch of the market analysis successfully. Later, under this process, learners start following the footsteps and the thought-process of professional traders. I myself have learnt Forex trading from Jarratt's course, especially the fundamentals, and I can assure you that I'm making 5-8% consistently since October 2017, after buying the course in march 2017. Jarratt Davis for sure is one of the best traders of the world. His methodology is simple, based on fundamentals, having clean charts. And this approach of Jarratt increases his winning ratio in the market. To the newbies and Forex learners, and even to the technical traders out there, I'd recommend 100% to try and give Jarratt Davis' course a shot and you won't be disappointed. "Very very satisfied with the training. Making PIPS is what it's all about." All I can say is I'm very happy I spent money on this training. Everyone is different and I recommend if you don't have time to really cram as much information as you can and really use the training for all it's worth, then I highly recommend paying for the entire year to really be able to allow yourself enough time to absorb and use what your learning. It is a lot of information to absorb, review, research in a short amount of time; and you want to allow enough time to apply your knowledge to practice too. All I can say is I am making PIPS. Only about 250+ pips per month and recently opened a small micro 1000k account to create my track record builder on myfxbook to start proving my 6 months track record. The idea of track record building is to create further subsequent opportunities from subscriptions to professional and variations in between. My current win probability is even beyond my own belief, as I continue to learn and gain even more knowledge from this ongoing training. 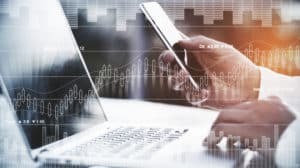 It is hard and does take some commitment of time to research and review fundamental data in order to know what's going on in the markets and with the banks, countries and their economies. However, in the end I'm making regular PIPS, PIPS PIPS. What else can I really say except I'm very satisfied with the training. "JD really has mastered the forex markets, and it was just one year with him that helped me do the same." I spent a year in one JD's trader training programs. I learned more that year than I have in the last 20 years of forex trading.JD provided seemingly endless prerecorded excellent trading training video's. The resources provided, the live trainings, the personal coach, the free ransquak access was nothing short of amazing. It was a little pricey, but I studied hard with JD for a year, not personally with him, but with my assigned coach. I interacted very little with JD, but he was there when I needed him for something my coach couldn't handle.No regrets! I would do it again! I didn't need more than 1 year, as this training really allowed me to perfect my trading! and now I am a better trader than JD 🙂 JD knows what he is talking about as it relates to forex like no one I have ever known! JD really drove home the fact that long term fundamentals and central banks are what controls the flows in the markets. JD really has mastered the forex markets, and it was just one year with him that helped me do the same.He still sends me an occasional email about the markets, and each one is timely and spot on! and draws my attention to the facts that matter, the ones that move the markets for real, the long term fundamentals! thanks JD! MUCH LOVE! Hi All, I just had to post this review to say to anyone who really wants to make a serious go of trading, either for additional income or to work as a full-time trader, the Jarratt Davis training is a MUST!Over the past 5 years I have paid countless thousands of pounds to so-called ‘trading companies’ who pledged to provide me with education, strategies, coaching & what-not that would help me trade the markets profitably. But guess what - they didn’t deliver!Cue JarrattDavis training.My personal experience of the JarrattDavis training programme is that it is fantastic and second to none! You are actually taught proper in-depth fundamentals which are necessary if you want to trade seriously & profitably, you’re taught to understand & look for what is actually driving the markets. Yes, it means you have to spend time reading and researching, but that’s what you would need to do as a professional trader anyway, so the training starts you off in the same way you’ll continue, & you get to form good habits from the beginning.I would advise anyone who is signing up for the course to give yourself enough time to fully assimilate what you are learning, to practise, ask the coaches questions and to go back over any parts of the course again should you need to. If you have nothing else taking up time in your life then perhaps you could cram it all within a couple of months, but my advice is to give yourself the best opportunity to succeed at trading & sign up for a longer period so you don’t have to rush. Personally, I would suggest nothing less than 6 months. (I’ve signed up for 12 months. )I’m in month 4 of the training and I can truly say that my trading has already turned around - my fundamental analysis, understanding, what to look for, the trades I take, confidence, patience, my psychology, profitability - and this is all down to the training and coaching.The training videos are superb, very clear and provide a solid foundation. What then sets the JD training high above all others is the live coaching day sessions and the QUALITY of these live sessions. I would recommend signing up for the training package that includes this option as this is what has accelerated my learning & trading. It is invaluable to be able to see how the coaches trade - hear their reasons for trade choices, what they do daily, what they don’t do, hear their explanations on news items, what to watch for and why, and lots of little tips to help overcome trading difficulties. And the best thing is that the coaches have such different trading styles which is fantastic, because it’s being able to see & hear these differences that has helped me understand what type of trader I am & that it’s ok for me to trade my way.I’m still learning & still have a lot to learn, but by following the training programme & practices of the coaches who are all profitable traders in their own right and who give their time during their own trading days to impart trading wisdom is priceless! I cannot express enough how this cements what you have learnt & I can guarantee you will pick up something new during every live coaching session too - I certainly do! And the coaches don’t talk hypotheticals, they give you real tangible examples and ideas you can implement immediately which help you to become consistent & profitable. This on top of the training is what has helped me the most. Even outside of the live sessions they are available to answer any question you might have or be struggling with. As long as I continue to be disciplined, follow what I have been taught on the course, don’t get greedy & stick to my trading routine, I will continue to be profitable. I can't believe I've only stumbled on this now after trading for near two years.This guy puts technical analysis on the back shelf and busts the world of fundamental analysis wide open.I feel so much more confident now whenever I place an order knowing the factors that control the market.Jarratts team are fantastic, they helped with absolutely everything and stuck with me patiently until I finally got it.I don't usually do reviews but this guy really deserves it, I can't thank them enough for how much they've helped me.
" I didn't know anything, now I understand." I am Aditya from Indonesia, I have be working in property development around indonesia and started in Bali. Now i was looking something different so can staying home with my family. I see advertising for webinar on Internet for people live in Asia about Forex 3 weeks before. Before I not know anything about Forex. The webinar interested me so I tried there programme. Is good because they have a basic part for people like me and the video is very good to explain clearly, now I already have good understanding an I practice on demo account with good results, soon will trading with real money. Because English not my first language can I asking maybe good to putting English subtitles for us, appart from this is very good. Thank you to Jarratt and team for give me fresh start. I do not normally leave reviews but really wanted to share my experience with the training program provided by Jarrat and his team. After signing up I got my log in details no problem. Then his assistant Charlotte got in touch to let me know that she was on hand if I needed any help with anything. I emailed her a few times with some questions and she was brilliant. She also put me in touch with some of the traders that work with the members to help answer some of the questions I had. The membership is good. You get a comprehensive video course and a news feed to help you get information fast. You also get analysis for both the European and American sessions that literally give you the best trade for the session, but the best thing is that they fully explain why the trade is such a good one and also help with possible entry levels so that you can take advantage of it. Just following these each day helps massively and I found myself picking up the concept of fundamental analysis pretty quickly, after previously being quite put off by it. I found it so helpful that I actually signed up for the annual because I can literally see the improvement in my trading as the week go by. It's definitely not some 'holy grail' system that gives you free money but it does give you the skills to actually trade properly. I feel so glad I found this program because it is the first time I have had genuine confidence in my trading! You will learn that the markets move from the news and fundamentals and also how to understand all that so you can make a profit. I emailed the support team to thank them for their help with something and they mentioned that many traders use FPA to decide whether or not to purchase their training, and If I would mind sharing my experience with them. Overall, this is the absolute highest quality trading education you can get and I cannot recommend it highly enough! 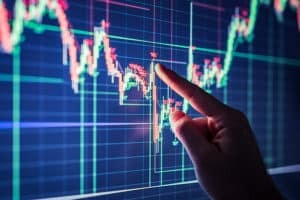 I joined the programme expecting some good training material, but everything has far exceeded my expectations.The training is brilliant but the resources you get, like the news feeds and support from their analysts really does make a difference.This is definitely something for people that are serious about becoming profitable traders rather than looking for some system to do the work for them. But if you want to see instant improvement then I highly recommend this programme. Join our mailing list to receive actionable advice that will change your trading for the better – STARTING WITH OUR FREE GUIDE. 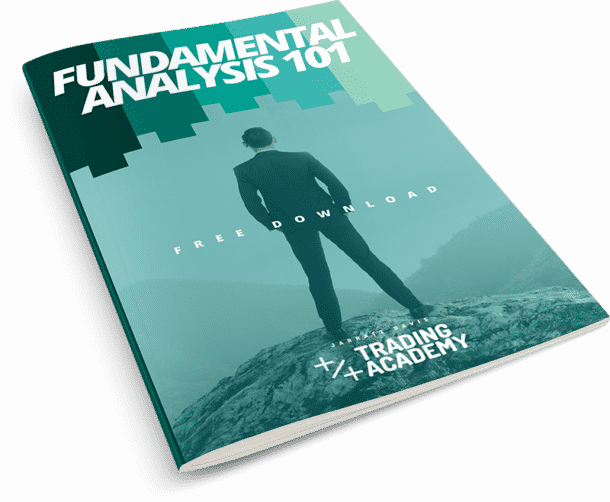 Get to grips with Fundamental Analysis - the strategy used by professional traders in reputable prop firms - by downloading this free guide. We'll then continue to send you regular hints and tips designed to improve your trading. Thanks - your free guide is on its way. If you have any problems, please contact us.